Being involved in a motor vehicle accident is a stressful event that happens to thousands of people on a daily basis. Having to worry about medical treatment, absences from work, dealing with the insurance company, and the effect on your finances makes an already unfortunate situation even more stressful. Farmers Insurance Group, despite being one of the most popular providers in the nation, has a reputation for having a stressful claim filing process. Like many other insurance companies, Farmers’ primary goal is not customer satisfaction, but making money. In order to stay profitable, Farmers has to receive more money in customer premium payments than it pays out in customer claim settlements. If you or a loved one has been injured or involved in an automobile accident and are dealing with Farmers Insurance, call Zinda Law Group at (800) 863-5312 for a 100% free case evaluation with our skilled and experienced Fort Collins car accident attorneys. To meet its profit goal, Farmers and its claims adjusters use strategies, tactics, and computer programs to help them come up with claim settlement offers that are lower than your claim’s actual worth. Although this low initial offer may be frustrating, it is important to remember that you can negotiate the settlement offer. Consulting with a skilled car accident attorney who can guide you through this negotiation process can be a very useful tool when it comes to maximizing your chances at a fair settlement. Although you may receive an initial offer that you believe is too low, this does not signal the end of your claim. It is possible to negotiate a better settlement. The negotiation process is typically a battle that consists of back-and-forth communication between you and the insurance company’s claims adjuster. The goal of the settlement process is to convince the adjuster that your claim is worth more than the numbers spit out by the company’s computer. Below are several steps that you can take in order to maximize your efficiency and effectiveness. By collecting and organizing these documents, you can make the rest of the negotiation process easier to navigate and better understand and stick to the facts of your situation. Once you determine your claim’s value, you will be in a better position to negotiate your claim. Although Farmers may deny or reject your initial settlement offer, do not hesitate to reject theirs if the proposed amount is substantially lower than your estimate. Defend your position throughout the process by emphasizing and reemphasizing the severity of the incident, the extent of your injuries, and how those injuries will impact your life both physically and mentally. You can refer to any relevant documentation whenever possible in order to support your position. Referring to this evidence will make it very difficult for adjusters to lowball you. 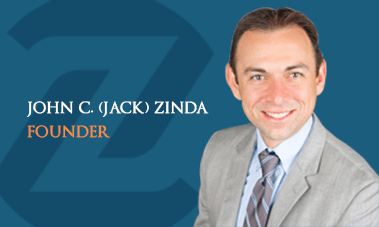 At Zinda Law Group, our Fort Collins attorneys have the skill and resources to assist you following a car accident. We have the skills necessary to help you build the strongest claim. Our attorneys have plenty of experience in helping clients negotiate claim settlements. Further, we will work tirelessly to assist you in seeking compensation for medical bills, property damage, lost wages, pain and suffering, and more. If you would like to speak with an experienced Fort Collins car accident lawyer, or to learn more about the Farmers Insurance claims process, call Zinda Law Group at (800) 863-5312 to receive your free case evaluation.